It isn't uncommon to see affluent donors give to causes that are outside their immediate realms of expertise. Many successful businesspeople like giving to bold, non-business causes. There are countless examples. The Zuckerbergs and Gateses of the world all made their billions in business, yet their philanthropy often looks elsewhere—education, public health, environment, poverty, and so on. One exception to this rule is the field of higher education, where we've seen business-oriented donors unsurprisingly give big amounts to business schools. And news out of Indianapolis suggests a twist on this approach—the donor-advisor, who essentially says, "Not only am I providing a historic gift, but since, in my humble opinion, I have a lot of practical experience to share, I'll also act as an adviser to the school and a mentor to students. Who's with me?" Butler University has announced a $25 million gift from Indianapolis-based LDI Ltd. Chairman Andre Lacy and his wife Julia. 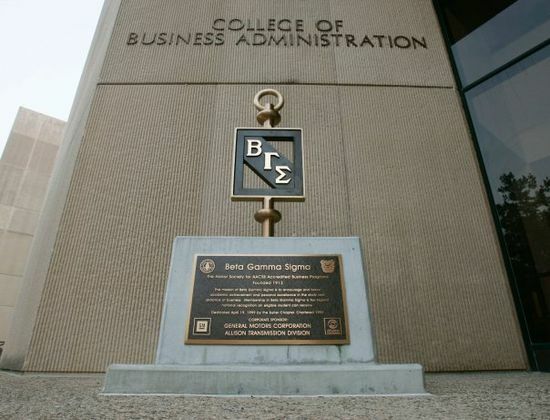 To honor the commitment, the school has renamed its College of Business the Andre B. Lacy School of Business. Butler says the gift, its largest ever from an individual or family, will build on experiential learning programs, including students launching businesses and completing multiple internships. What's more, Lacy will also serve as a senior adviser for the school, which he says will allow him to mentor students and pass down what he's learned. Now, we've seen some big gifts to business schools lately. The Columbia Business School, for example, announced that the Chazen Institute of International Business has been renamed the Jerome A. Chazen Institute for Global Business, and that Chazen donated $10 million for its continued development. Chazen has a particularly close relationship with the school; his $10 million gift to Columbia in the 1990s established the Jerome A. Chazen Institute of International Business. We also learned that Georgia State’s Robinson College of Business received a $2 million gift from the Delta Air Lines Foundation to fund the Delta Student Success Center. As part of the School of Business curriculum, students complete a business plan in their first year, launch a company as a sophomore, and complete two internships before graduation. Lacy says that experience leads to students "seeing first-hand the challenges they face, and learning the art and science of developing and selling solutions that have real value in the business market." And Lacy should know. His LDI is a closely held holding company of wholesale distribution and logistics business units, which are operated relatively autonomously. As of 2010, it had $906 million in revenues. As chairman, he remains involved with business strategy, acquisitions, and "preaching the principles of LDI business culture" to employees. He's been deeply involved in the Indianapolis community throughout his career, serving on the board of Indianapolis Public Schools, the United Way, the Butler University Business Accelerator Advisory Panel, and Indiana University Kelley School of Business Board of Visitors—just to name a few. He's just shy of 80 years old. What's more, his proposed increased involvement with Butler students and faculty has a precedent—Lacy is currently mentoring a senior at the school. And his rationale for doing so is rooted in cheery, no-frills Midwest optimism that serves as a needed tonic in this uncertain global economic climate. "I'm excited for the opportunity to have the interaction with the students," he said.